What exactly is in that famous tart fro-yo, anyways? 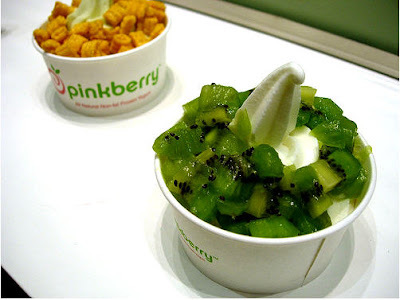 Now we get to know, thanks to a lawsuit last year that forced Pinkberry to expose its ingredients list. Actually, I believe that list has been quietly sitting on the Pinkberry site for a year, but the lawsuit was just settled, drawing all kinds of new attention to the list! Most disappointing about this is that yogurt plays such a small part in the list. Doh! What did I expect, though? Anything I eat outside of my own home is eat-at-your-own-risk. I have no control over what they put in food at restaurants, even if I make requests. 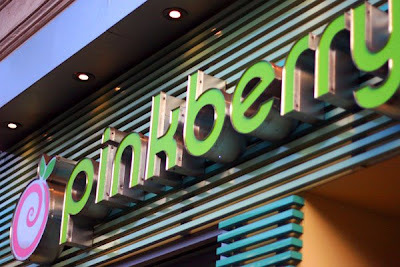 Both companies use nonfat dairy products, sweeteners, emulsifiers and acidifiers, but only Pinkberry’s frozen yogurt includes artificial colors and flavors. Lesson of the day is to know what you're eating. But I think we'll all be ok. I'm not going to stop eating Pinkberry because of 23 ingredients. Don't Campbell Soups have that many ingredients, too? And Kraft Macaroni and Cheese? But no, Pinkberry is not all-natural. That's for sure. Actually, there is a standard for live active culture contents for a food to be considered "Yogurt". Pinkberry's stuff doesn't meet this standard and they have had to take the word "yogurt" out of all their advertising/stores! Doesn't mean its necessarily bad for you, it's just not the healthiest form of yogurt. "Don't Campbell Soups have that many ingredients, too? And Kraft Macaroni and Cheese?" They sure do, and I wouldn't eat those either. Not only is ice cream at home cheaper and healthier than junk like Pinkberry, it tastes so much better.